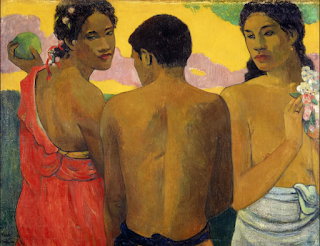 Maybe it all began with the florid yet languid images of Paul Gauguin. But maybe it was the exotic tale of sailors in Mutiny on the Bounty risking all for the romantic allure of the tropical paradise known as Tahiti that lead to this boy’s life long yearning to visit. My karma with this particular slice of heaven finally ripened courtesy of my older sister and her husband who have been sailing around the world for the last 8 years. 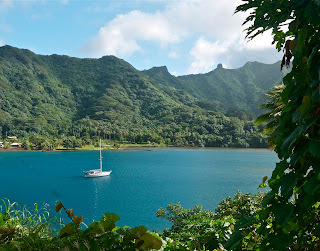 Tahiti seemed the perfect place to join them and to experience cruising around paradise. In the process of going somewhere so beautiful, so different, so warm!, some dramatic stress management lessons became crystal clear. 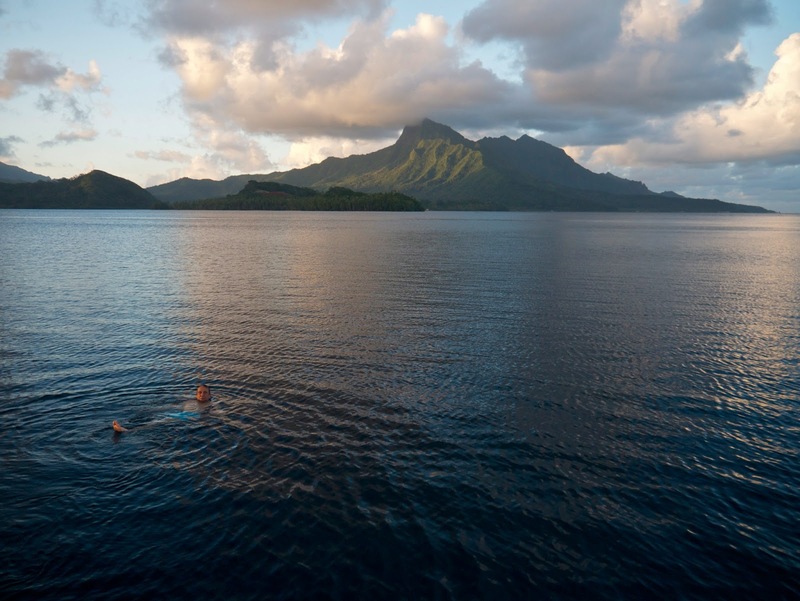 Here I am floating around, all at sea. Am I ? A. Blissed out – feeling totally enamored with the opportunity for a real holiday in such a divine setting. Aware of relaxing and letting go while floating on warm and tranquil water, marvelling at the amazing light as the sun settles, and feeling really grateful for the experience. Or B. Freaked out - aware I am really unfit when it comes to swimming; preoccupied that I am way out of my depth, have just jumped over the side of a yacht well off any shore, am unaware of any currents or even my capacity to get back to the boat and am stressing out? Many people think stress is an external problem, something that is caused by things outside of them; outside of their control. Going to Tahiti made it crystal clear, you can find the catalysts for stress anywhere and everywhere. In fact, this is the human condition. If you are alive, you have the potential to be stressed. Sure, some environments, some people can provoke stress more readily than others, but even being in paradise can do it for you. 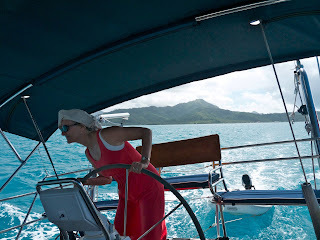 Here is Ruth steering the ship (OK you nautical types, I know it is a yacht). How often do you hear people saying “He is the cause of all my stress”? “ Once we pay of the mortgage, we can relax”. A trained mind learns that it is how I respond to “her” that determines whether I become stressed or not; how I respond to the work, to the kids, to the mortgage. There is no need to take stress personally, as if we are the only ones affected. We all have potential stress. What we need to take personally is learning how to manage it. Imagine taking all the essentials from your house, kitchen, bathroom, laundry, bedroom etc and squeezing them into a long, fairly skinny caravan that floats. 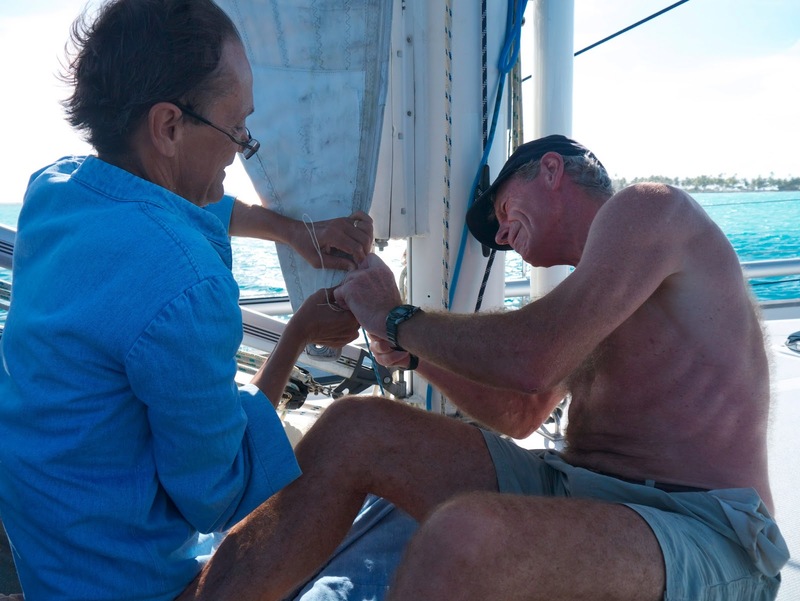 Then take it out on the ocean to be buffeted by wind and tide, to have corrosion eat at everything and to find yourself regularly in exotic places where few people speak your native tongue and parts are hard to come by for the regular repairs that not surprisingly are needed fairly frequently. Sprinkle all this with incredibly joyful times when all is working and the wind is coming from the right direction in the right amounts, and you have the life of the ocean sailor. You could easily be stressed or blissful. Or alternate between the two. Is it up to the external events? Or is it up to how you manage them? Here is an image of peace and tranquility. Holidays do make sense. It can be very useful to take time out, change you external circumstances if they are proving very difficult. But while managing our circumstances as best as possible is a vital starting point for effective stress management, the key point remains, doing so does not guarantee a stress-free life - as I am sure we all know. 5. Stress management requires learning and practice – as I am sure we all know. 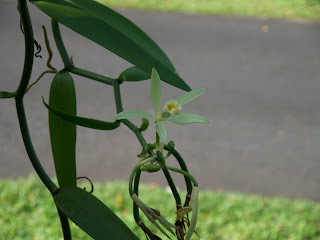 Here is the vanilla orchard, precursor to the vanilla bean. Study botany and learn how to grow vanilla. Study the mind and learn how to grow a stress-free life. It starts with the knowledge, then we put it all into practice. My guess is you probably know what to do. 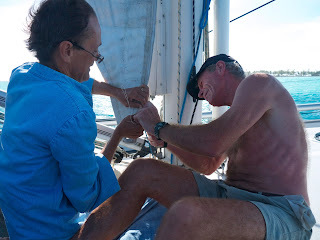 I came back from my holiday deeply grateful to Sue and Ross for the privilege of sharing time on their yacht, and more aware than ever that stress is all in the mind! Meditation anyone? Ruth and I love these events where we get to meet up with people we know, make knew friends, to remind ourselves and others of what works and to share the latest in our field of health, healing and wellbeing. Please do forward the details to those you may know in any of these places and if you live nearby, we hope to see you at one of the events. Bring your family (we had 5 members from the same family share a day workshop recently), come with a friend, tell your colleagues. These workshops are interactive, a great way to review what you already know, to be re-inspired and re-enthused, and to learn exciting new things, like the latest breakthroughs in epigenetics, the neurosciences, telomeres and nutrition. And we all get to meditate together! The brains of experienced meditators appear to be fitter, more disciplined and more "on task" than do the brains of those trying out meditation for the first time. 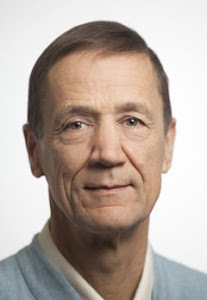 And the differences between the two groups are evident not only during meditation, when brain scans detect a pattern of better control over the wandering mind among experienced meditators, but when the mind is allowed to wander freely. Those insights emerge from a study which looked at two groups: highly experienced meditators and meditation novices, and compared the operations of the "Default Mode Network" -- a newly identified cluster of brain regions that go to work when our brains appear to be "offline." "I think it's safe to say this is brain-training at work," says Yale University psychiatrist Judson Brewer, who conducted the study with psychologists from Yale, the University of Oregon and Columbia University. "It makes sense," adds Brewer. "Anything you train to do, you do better." Loved it ! Glad you both had a great holiday. Why is it then that when one is doing meditation for managing stress there is so little emphasis given to what you are doing with your mind when you are not meditating? And why does that seem to often come down to mindfulness? After all that just seems to make me more mindful of the stress! And if I look further then all I see is what a lot of crap my mind engages in! Then I see that I'm not only stressed but I'm the twit that is creating it all! Is that supposed to make me feel good or what?! Dear fellow twit! The part of us that is creating the stress is our thinking mind. That is the good news because we can train the mind to be stress proof. First we learn how to let go of stress; then the advanced practice is to not get stressed in the first place. In the beginning, however, becoming more mindful does make us more aware of the "crap". If there was no solution, this would not be helpful. However, given there is something we can do that is so effective, we push on, learn and practice, and changes come pretty quickly. Bon chance as they say in Tahiti (where everyone speaks French). One of the great things about meditation is that you can do it almost anywhere, anytime, for any duration. It doesn't have to be a 'set' practice (same place, same time, same situation, same duration), although the discipline of this is helpful when starting out. Whether in a special meditation-dedicated place at home, in a garden, waiting someplace to be attended to (e.g. doctor's surgery, etc. ), in the car while log-jammed in traffic, at red lights, or during a car ride when someone else is driving, or while walking...whether for a few minutes of mini-meditation or 30 minutes or more...any and every chance to meditate helps take mindfulness more easily to a 'different', less stressful place, often beginning by 'watching' the breath. To be human is to be mindful - of stress as much as of any other momentarily dominant idea. Thankfully meditation helps take us to new, calmer, more balanced moment. Great points to remember, that stress originates in our minds and isn't a necessary reaction to our circumstances. We get to choose how we react. It's almost unthinkable that a person could be "stressed" in Tahiti, but a person whose mind is trained to react with stress could certainly still feel stress, as you note. Another good resource with ideas along these lines is this post from Psych Central: Putting Stress in Its Place in Your Life more good thoughts on managing stress better, and not letting it control us! You have performed a formidable job and our whole group might be thankful to you.